This is an absolutely wonderfully run campground-very, very well-managed, and for where it is, and It was perfect for us. We were down here for treatment at M.D. Anderson, and that worked very well. It was during the annual rodeo, and RV show, so space was a little tight but they fit us in. There is some road noise which I would liken to "white noise". Road noise is my big bugaboo, and I was not bothered one bit at anytime. There aren't very many semi's traveling on the freeway which is a couple hundred yards away, so you don't even notice inside the coach. At night, it is very quiet. Not very much coming and going. There are long-term stayers, but the place is neat and well kept up.The owners are very conscientious in making upgrades, renovating showers, etc. Travel time to the main building at MDA ranged from 22-28 minutes every day after 9am. You can drive to a closer RV park, and Take a shuttle in from there, but the direct route was so quick we never even bothered. Waze has many options to route around any backups. Lots of restaurants around, Walmart, Sam's, Costco are within about 10 minutes or so. You want to go south toward Sugar land, because it's a newer area, better shops, way less traffic and congestion. I would stay here again in an absolute heartbeat. Thank you for the 5 Star rating. We appreciate you acknowledging the quality of our Resort. Our Housekeeping and Management team continually strive to exceed our guest expectations. We appreciate you highlighting out location, continued upgrades, and resort environment. Until we see you next time..... Safe Travels!!! I visited from March 8 - 15, 2017, which was Rodeo and Carnival Festival and availability of RV Resorts was minimal. 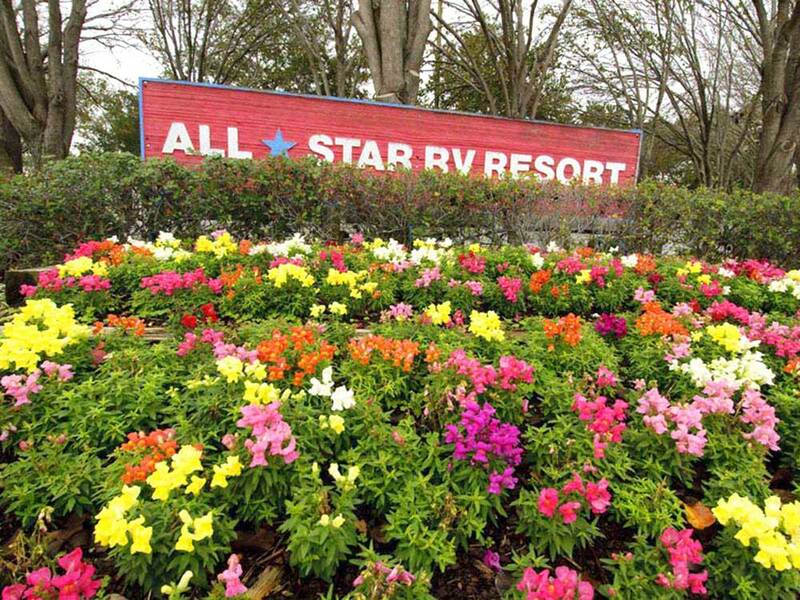 I assumed that since the property was Owned and Managed by Quality RV Resorts, the standards would be the same as Lake View where I had stayed previously. Big mistake and I should have known better to assume. I will admit the staff was friendly and courteous. Site 124 was the only available site next to the office, and your subject to hearing all the traffic coming in and out of the resort, including the dumpster being close by and the truck emptying it out multiple times during the week. Resort is NOT Gated and sits behind a car dealership and adjacent to highway, which you can hear the traffic day and night. Due to cold weather, didn't get to use the pool but is seemed to be a nice area. Cable TV was intermittent, so I relied on my digital antenna to see local news. This property appears to be more for long term residential and a lot of the motor homes/trailers had mildew growing all over and had not seen soap and water in a long time. Again, I stayed here only because it was the only site available at this time and it was close to my daughters home, but rest assured I will NOT return.